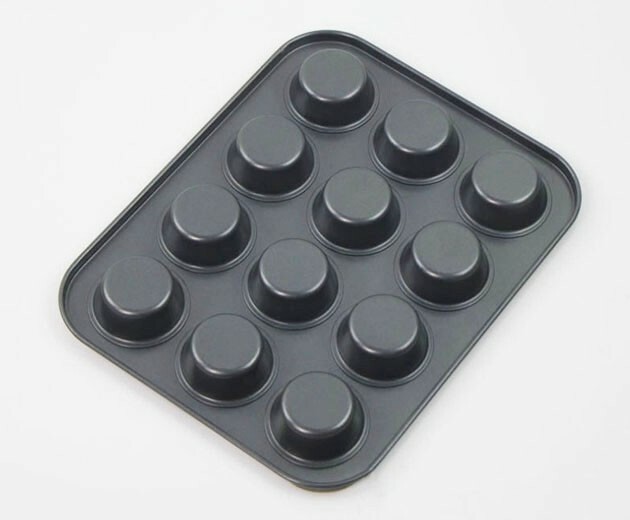 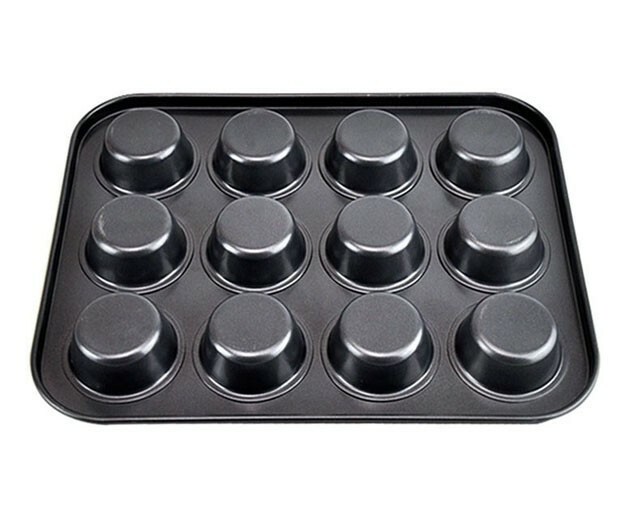 This mini 12-cup muffin pan is made of stainless iron and features nonstick coating for easy food release and clean-up. 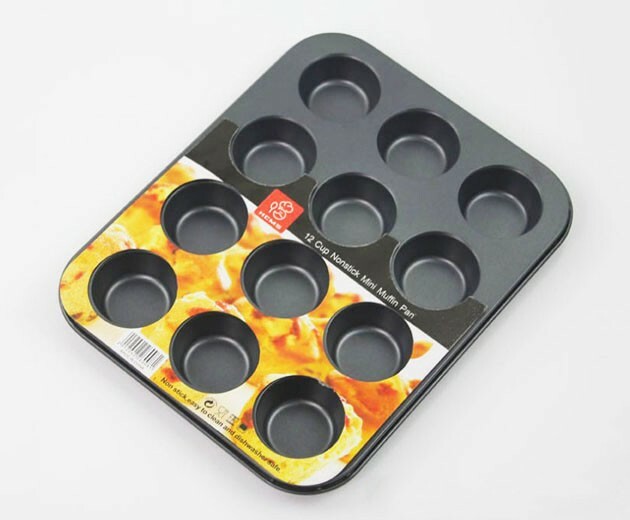 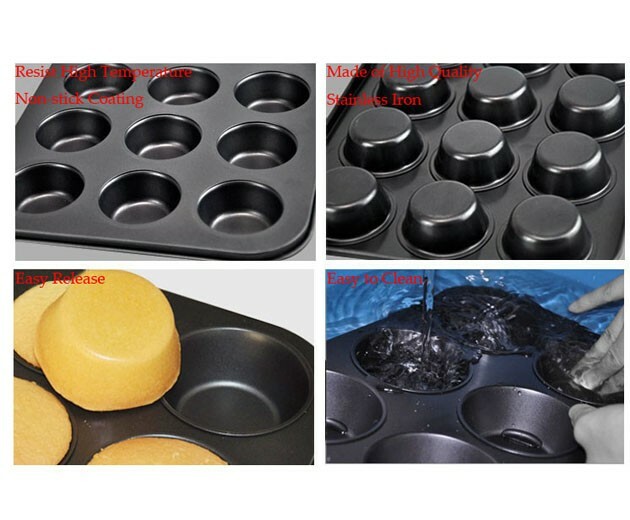 It's ideal for any type of muffin and is made of heavy-duty steel so there's no warping even after use in a hot oven. 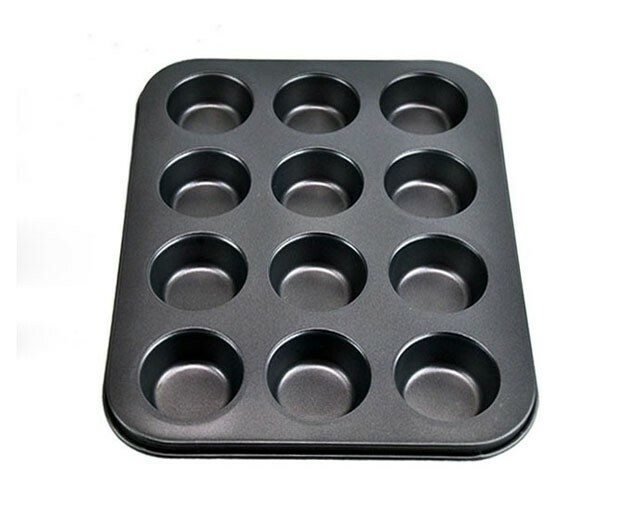 You can use it to make fruit cake, pumpkin, banana and zucchini bread at home.